The Mission House is the backbone of the diplomatic estate. An early ambassador, if an embassy, or a minister, if a legation, lived and worked in the Mission House, along with his family, official secretary, any attaches, chaplain, nanny and domestic staff – an entourage that could easily add up to 20 people. The Head of Mission had personal responsibility for finding and leasing the house. In some cases, landlords were prepared to lease over long periods to successive Heads of Mission. In others, each succeeding Head of Mission had to find his own house: in Washington, for example, the legation moved 10 times in 60 years. It was not many years, however, before the trials and penalties of the Govt owning property became apparent: Elgin’s house caught fire in 1831 and its replacement was not completed until 1855 (4). In Tehran, the city area round the house became so congested that it could hardly be reached. 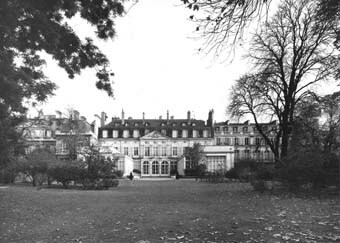 And in Paris, it was proving ludicrously expensive to maintain the house, and to keep altering it to suit incumbents’ whims (though one should bear in mind that the few ambassadorial incumbents at that time were ranked as the equals of cabinet ministers). The Treasury was appalled by the costs of ownership, and had no faith in the Foreign Office’s ability to manage this new responsibility. 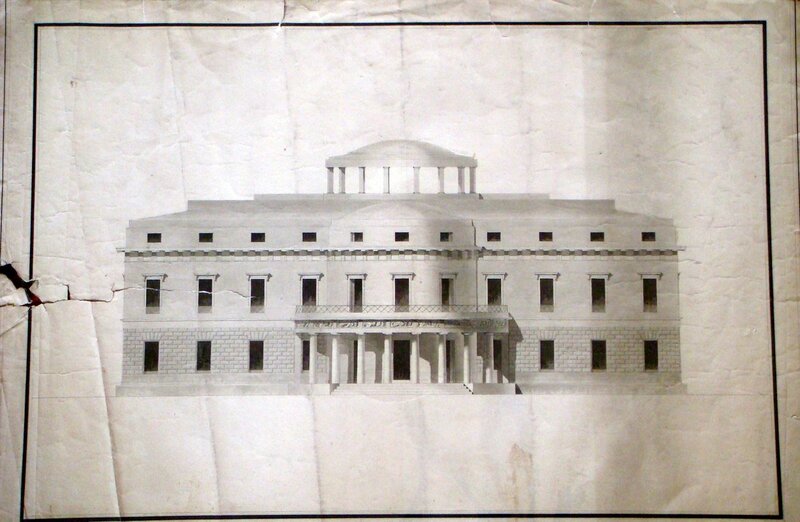 So the Treasury turned to the Royal Engineers and the Office of Works to introduce the necessary rigour – with the result that the Office of Works and its various successors remained responsible for the estate for the next 160 years, until 1983. The costs, however, were not the only problem. Many politicians, as well as senior Foreign Office staff, were deeply opposed to the principle of the Government housing its diplomats overseas. It was not until 1872, when a Select Committee Report came down in favour of permanent Mission Houses, that further progress was made in Europe. What was achieved in Europe between 1850 and 1900 was partly by stealth. Where Ministers’ leases in Europe were coming up for renewal, or new houses were required, the Office of Works took the leases in its own name, and subsequently bought each house when the political coast was clear. This was the sequence in Lisbon (5). Also the sequence in Madrid, Copenhagen, Athens, Brussels, Rome and Berlin (6). Several Mission Houses were built on acquired land during the same period. Most notably in Vienna (7) and Washington (8). Heads of Mission remained responsible for maintaining and furnishing their Mission Houses but, as the personal wealth of incumbents declined, the Office of Works picked up more and more of the bills. 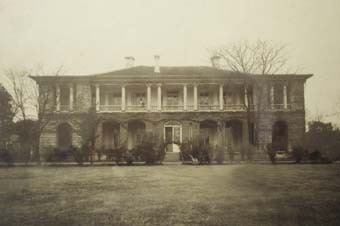 From the mid-1870s, for example, it became responsible for funding the furnishing of the State Rooms (specifically designated as required for State Receptions) in each Mission House. It took a long time to convince the Treasury that in much of the world it was not practicable to buy or lease property, least of all Mission Houses, because there was simply nothing suitable available. In these places, acquiring a site and building on it was the only option. This applied pre-eminently in the Far East. In China alone, Britain opened 48 consulates (and a legation) in the eighty or so years following the First Opium War of 1842. First experiences in China were dreadful, and drove the Treasury in 1866 to send a Major Crossman of the Royal Engineers to Shanghai to bring order to the property chaos of the dozen or so consulates already established in the Far East. 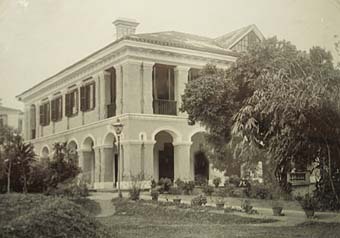 Crossman was soon joined by a Robert Boyce, a civilian surveyor, and they established an Office of Works outstation that lasted in Shanghai until 1950. That office designed and built 35 consulates in China alone, and others all over the Far East. Their success largely rested on Royal Engineer construction experience in India: simple plans, sturdy construction, plenty of shade and ventilation, and good supervision. Examples include Foochow (9), completed 1869; and Hankow (10), completed 1883. 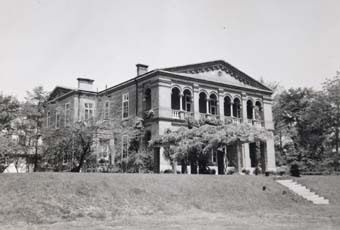 One of the best Far East consulates was at Seoul (11), completed 1891. 3. Paris. Garden front of the Hotel de Charost, rue de Faubourg Saint Honore. Built in the 1720s, and bought by Pauline Bonaparte in 1803: she added the wings. 4. Constantinople. Designed by William Smith (not Charles Barry) and built partly on Elgin’s foundations. Extensively rebuilt after fires of 1870 and 2000, and again in 2003 after a bomb attack. 5. Lisbon. Leased by Minister in 1833, by OW in 1850s and bought by OW in 1875. Sold in the 2000s. 6. Berlin. 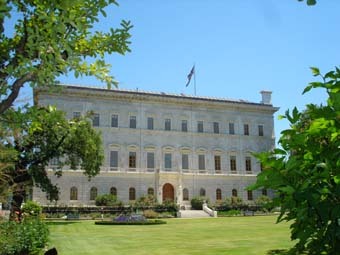 Leased by Minister in 1871 when the city became the capital, by OW in 1876 and bought 1884. Bombed at the end of WWII, site vacant throughout the Cold War, and new offices completed on it in 2000 . 7. Vienna. Completed in 1876 to the design of a fashionable Austrian architect, Viktor Rumpelmayer. Sold to the Nazis in 1938, damaged by bombs during the War, and repurchased in 1950. 8. Washington. 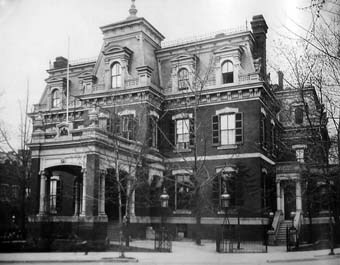 Completed in 1875 on Connecticut Avenue, replaced in 1930. 9. Foochow, on Nantai Island, which became the Foreign Settlement. This is House No 2, with offices on the ground floor and assistant’s accommodation above. 10. Hankow. 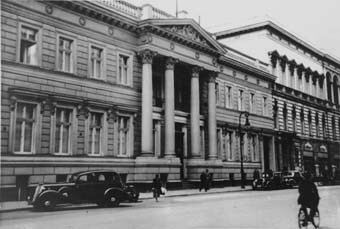 The consul’s house and offices on the Bund. 11. Seoul. 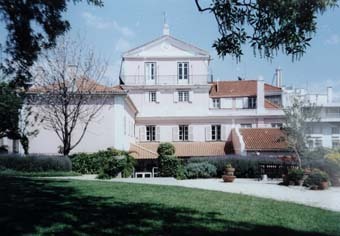 Still in use as the ambassador’s residence today, somewhat extended in 1980s. King Kojong, who had a palace next door, wanted a similar house built but the OW said it could not spare the time to design him one. House No 2 is also still in use.